Delphi Resort is renowned for its adventure activities and since I very much am not, it’s a place I had never visited. 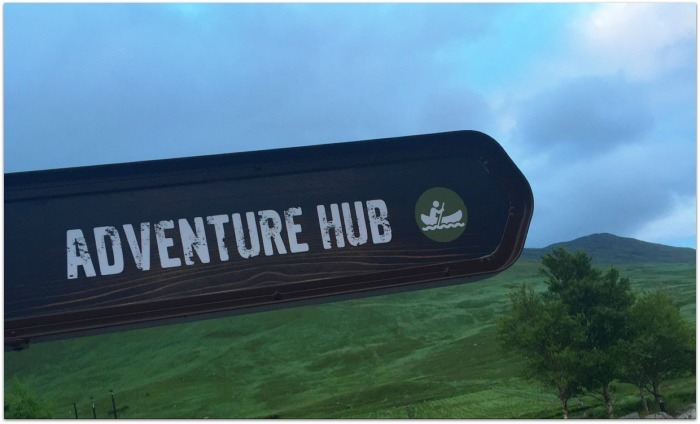 But culinary adventures I can do, with gusto, and so Delphi’s Food and Drink Event Series was firmly in my comfort zone – though as it turned out, we got a lot more adventure than we bargained for! 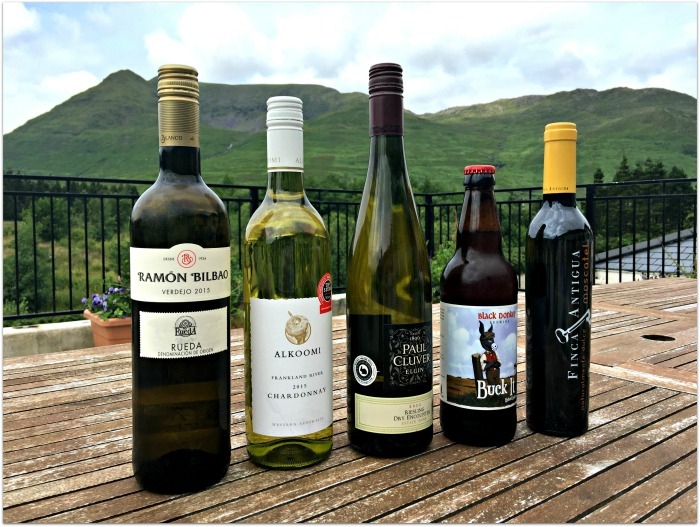 The Delphi valley is possibly one of the most remote places in Ireland that we’ve visited, but the views are more than worth the 4-hour drive from Dublin. 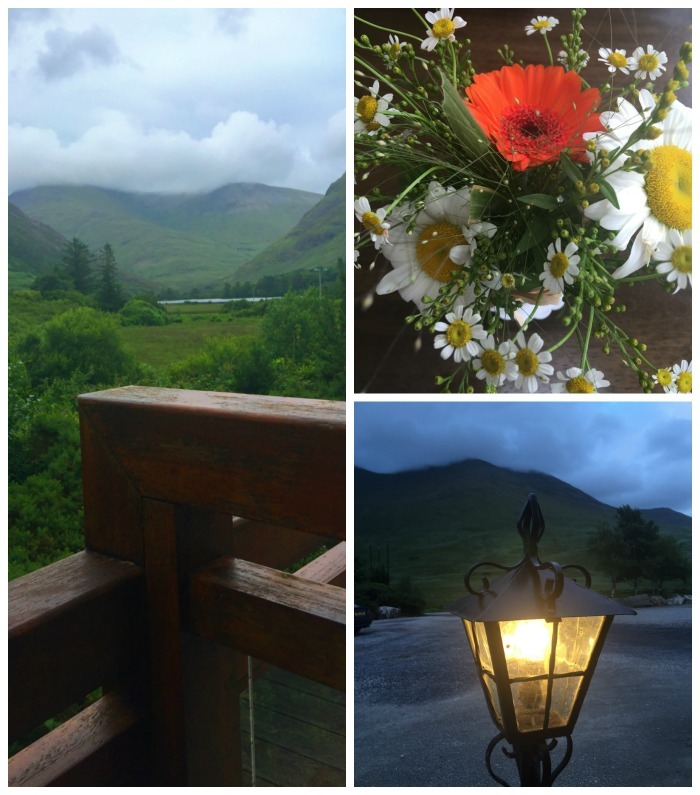 The resort is surrounded by mountains including Mweelrea, the highest peak in Connacht, and just being there is very restful and relaxing. Although you do need to stay on your guard for the mountain sheep, who can spring out at you in a very unexpected manner. The evening started with prosecco in the library, before we moved into The Chef’s Table restaurant. The chef in question, Stefan Matz, had prepared a 5-course feast featuring the very best and freshest offerings from the nearby Killary Fjord. Tables were shared between 6, and we got lucky: we plonked ourselves down beside cousins and best friends, Eithne and Teresa, along with graphic designer Niamh and her fella, Alan. 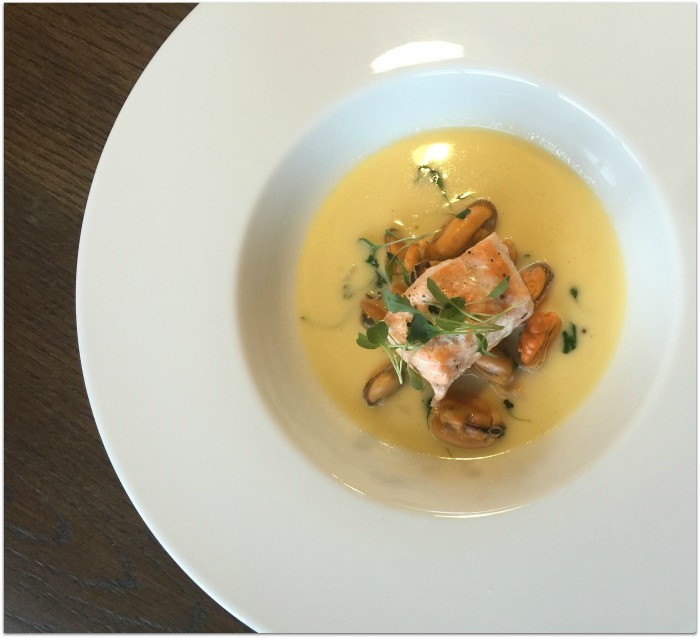 Great craic was had by all as we worked our way through a menu featuring poached salmon in a mussel broth (pictured), Killary harbour prawntails (a particular highlight) and – a first for me – smoked oysters. Each course was expertly matched with a wine, beer or cocktail and we all agreed the white wines were some of the best we’d ever tried. If you fancy a night of great flavours, food knowledge and fun, then check out the rest of the Delphi events; they cost €95 per person which includes a drinks reception, dinner and matching drinks, and the resort is offering a 20% discount for guests who’d like to stay overnight. Being surrounded by so much natural beauty obviously put notions in my head about being the outdoors type. In a moment that was very out of character, I signed Mr Fluff and I up for an actual real life adventure the following day. Kitted out in wetsuits, flotation devices and crash helmets (thankfully, there’s no pictorial evidence), we explored the Connemara coast by clambering up and over rocks, then jumping off them. I still have the bruises, but I also have the memories of an adrenaline charged morning that was totally out of my comfort zone. Swimming/floating/scrambling through Smugglers Cave – coasteering is the technical term - over rocks worn smooth by waves over hundreds of years, was an unforgettable experience, and our guides not only kept us safe but were incredibly knowledgeable about the local marine life. No-one is more surprised than me, but I can’t wait to do it again. Fluff and Fripperies was invited to the dinner as a guest of the hotel; we paid €50 per person for our coasteering adventure and it was worth every penny. 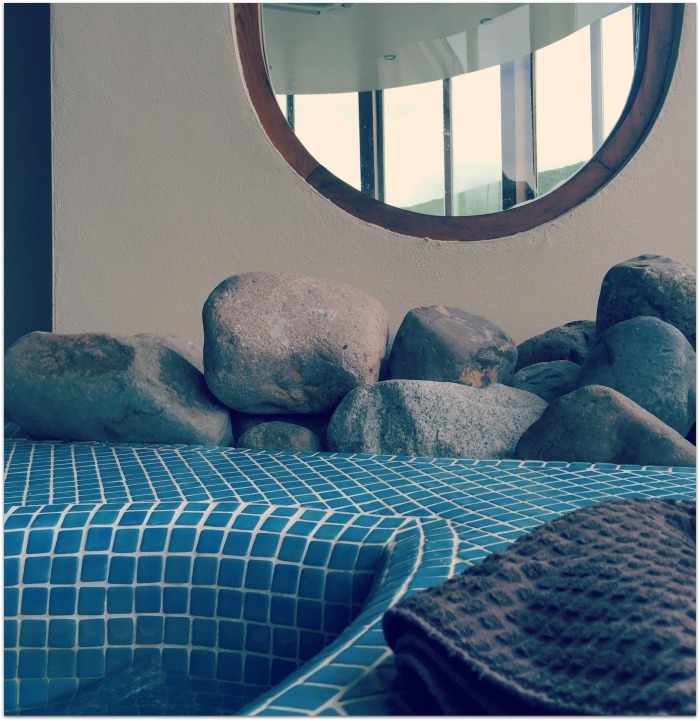 Check out the hotel website for more.